Given their education, training and intelligence, you would think residents would bring a lot of savvy to interviewing for their first job out of training. But seasoned recruiters see it differently, offering a long litany of gaffes as examples. Take, for instance, the resident who talked at length about his past drug problems, or the young physician whose spouse drank too much at dinner and offended several senior partners. Or the resident who kept interrupting his interview because he needed a “smoke break,” or the one who brought his girlfriend to an interview “instead of his wife. While most residents don’t make this bad of an impression, many make mistakes during the job research and interviewing process, from wearing inappropriate attire to obsessing about compensation. According to recruiters, residents can’t assume that the ferociously competitive market for new hospitalists means that anything goes. In fact, common mistakes can stop residents from getting what could be an ideal first job. 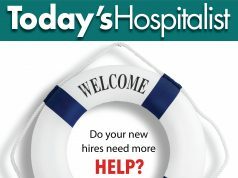 To help residents, Today’s Hospitalist talked to several recruiters about mistakes residents make and what the right approach should be. Here’s what they had to say. Residents tend to make more mistakes than more experienced physicians during the recruiting process, say recruiters, because they’ve never worked outside academia. While they exhibit a wide range of common job-search errors, recruiters say that the most common problem is not asking enough questions “in either the research or interview phase “about the job, practice, hospital and community. Questions that should be asked but often aren’t include information on the call schedule, rounding, types of patients and procedures, per-day patient volume, and the employer’s background and practice style. Young physicians also need to ask about turnover in the practice or hospital and whether the organization is facing any difficult issues or controversies. Susan Waldron, chief executive officer of Prime Staff Advanced Medical Divisions, a Houston-based physician recruiting and credentialing company, says that she runs into potential candidates who haven’t even scoped out the employer’s Web site. “They don’t even know who the lead doctors are,” she says. That lack of research probably contributes to the “first year bounce,” a phrase that refers to physicians’ high turnover during their first year on the job. The fix, says Mr. Collins, is to do the necessary due diligence beforehand. Then, “take a notepad and ask questions,” he says. If you’re not taking notes or asking questions, he points out, employers may assume that you’re not interested in the position. That raises another common mistake that recruiters say residents make: not displaying enough enthusiasm during the interview process. According to Regina Levison, president of Levison Search Associates, a recruiting firm in El Dorado, Calif., a lack of enthusiasm can be a critical mistake. “Some residents are shy,” she says, “but a lot of times, these residents hop on a plane after two back-to-back calls.” Instead of showing up running on empty, she suggests that residents take time to rest before an interview. “¢ Not knowing what kind of job you want. Recruiters suggest that you make a list of your professional and personal priorities and goals. Do you want to be employed by a hospital or a group? Do you want to live in a city, suburb or rural area? Do you need to work Monday through Friday to meet family demands? Because residents aren’t aware of their real priorities, adds Mr. Collins, they often are blinded by location or money. “They sometimes find themselves in their perfect location and get so fired up that they lose sight of everything else,” he says. That makes it easy to fall prey to a “kid-in-the-candy-store mentality,” he adds, and to forget to ask questions about such key factors as patient load or scheduling. “¢ Not knowing your skills or your strengths and weaknesses. Take an inventory of what you like to do best. Are you better with patients or administration? 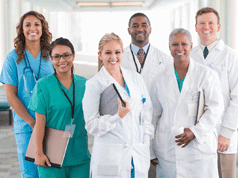 Is your bedside manner weak or strong? How good are you at documentation? “Ask your peers or residency directors for those brutal observations,” says Ms. Waldron. “They will help you identify your strengths and weaknesses.” Rehearse your answers about strengths, and don’t evade questions about weaknesses. Instead, be prepared to talk about whether or not you’re a team player, and what your patients like most “and least “about you. “¢ Not conducting a phone interview. Mr. Collins says telephone interviews give residents practice for an on-site interview, as well as clues as to whether a job would be a good fit. But be sure to do phone interviews at home or in a quiet place. “You need to be in a place where you can pay attention and not be interrupted,” says Ms. Levison. Another point to remember during a phone interview: Slow down. “Many times, if an interviewer can’t understand residents because they are speaking too fast, they won’t be invited for a face-to-face interview,” Ms. Levison says. candidate who showed up for an interview in shorts, flip flops and a Hawaiian shirt. She suggests that men wear a suit and women wear a business outfit. Ms. Levison also points out that dressing appropriately doesn’t just mean staying away from vacation wear. She recalls one candidate whose spouse favored expensive, chic clothing. “¢ Asking about pay too soon. Some residents barge ahead with questions about compensation, call schedule and malpractice insurance before they even know where the practice is located. Two of the recruiters say candidates should never ask about compensation during the first interview, while another says it is OK to ask about compensation, as long as it is the last question in the interview. If asked about pay expectations, recruiters advise residents to say you will be happy to consider their best offer. Another compensation-related mistake: Once salary is discussed, says Ms. Levison, many fail to ask crucial follow-up questions. “Ask if the offer is base salary, if there are incentives for productivity and when they are eligible for partnership,” she explains. “¢ Not starting your job search early enough. Recruiters suggest that residents start the search process 12 to 18 months before the end of residency. Jay Greene is a freelance writer specializing in health care. He is based in St. Paul, Minn.